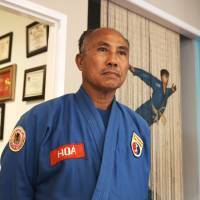 Long story short: "Master Hoa's Requiem" is an emotional story of a Vietnamese man's journey to America. Director Scott Edwards plans to extend the short into a full-length documentary. When it comes to getting a movie fix these days, more people opt for their computer screens than venturing outside to a theater. Hollywood has countered this trend with a slew of 3-D blockbusters and cinematic largesse, but how does the short film fare? Some people are satisfied to watch short films online. On YouTube, for example, almost everything is a short. But if you watched YouTube, Vimeo — or any other online video platform — every day for the rest of your life, you still wouldn’t be able to see everything on them. How do you know what you’re watching is “the best”? That’s where the importance of curation comes in. You won’t meet more discerning curators than Seigo Tono and the organizers of the Short Shorts Film Festival & Asia. This team wades through thousands of films and puts the best ones on screen — and take it from me, the short is best viewed on a huge screen, in deep seats with artisanal popcorn. That’s probably because shorts have a better metabolism than feature-length films. There’s no fuss and no protracted prelude. Often it’s the director’s first project, so you get the kind of tender loving care born of ambitious idealism. Other times, a lot of seasoned filmmakers dip into the shorts format as a way of taking a break or resetting their creative clock. Either way, the rewards for a viewer are plentiful. Now in its 17th year, the Short Shorts festival will kick off June 4 and end on the 14th. The program is set to showcase 200 shorts (filtered from more than 5,000 entries) from 100 countries. Prizes worth hundreds of thousands of yen are also being presented, including a Grand Prix that will make the winner eligible for an Academy Award nomination in 2016. One of the films at the top of my own must-see list is Etienne Desrosiers’ 2007 work “Miroirs d’ete” (“Mirrors”), starring Canadian Xavier Dolan when he was all of 15 years old. Dolan is the current enfant-terrible-slash-wunderkind of the film world. At 23, he has already made seven films and acted in 17 (his own and those of other directors). Dolan’s latest directorial work, “Mommy,” opened in Japan last month, so now is a good time to check out what the genius was like in ninth grade. And speaking of young talent, there’s also Daisy Ridley (23), the star of the year’s most-anticipated movie, “Star Wars: Episode VII: The Force Awakens,” appearing in an oddly beautiful short titled “Blue Season” by Georgina Higgins and Lee Jones. A notable feature of the Short Shorts Film Festival (and another point for big screen vs. computer screen) is the chic vibe of the venues. Omotesando Hills Space O, the Laforet Museum in Harajuku, iTSCOM Studio and Hall in Futako-Tamagawa, Andaz Studio in Toranomon Hills, Shidax Culture Hall in Shibuya — these are all event spaces that do double duty as cozy and attractive movie theaters. Then there’s the Festival’s namesake venue — Brillia Short Shorts Theater in Yokohama’s Nishi Ward. Brillia is known for its fashionable cafe, seats with rouge upholstering and a theater-rental system. Unfortunately, renting the theater isn’t possible during the festival, but the system kicks in again after it’s finished. Perhaps renting a theater is perfect for dinner, a movie and a … marriage proposal? A friend of mine mentioned this idea to me once, which got my head spinning as to what the perfect film would be. One idea that’s on the Short Shorts lineup might be a hilarious work by Yuki Saito titled “Shabu-Shabu Spirit,” which is in the Andaz Tokyo B — Tokyo program of the festival’s Special Programs category. The film is about a father who inspects the eligibility of his future son-in-law by the way the young prospect eats his shabu-shabu hot pot. The Short Shorts lineup also features some heavy hitters that will likely leave you feeling a bit sad — so, no marriage proposals for these ones guys. The festival’s War and the Power to Live program is supported by the Red Cross and focuses on conflict and violence. Among the entries is Spanish director Esteban Crespo’s “That Wasn’t Me,” a harrowing tale of the way morals change on the battlefield, and how the will to commit an atrocity and the will to survive that ordeal, are often strikingly similar. Two Spanish NPO workers and their guide learn this the hard way when traveling through a civil-war zone in Africa. “Master Hoa’s Requiem” is another memorable title in this section. 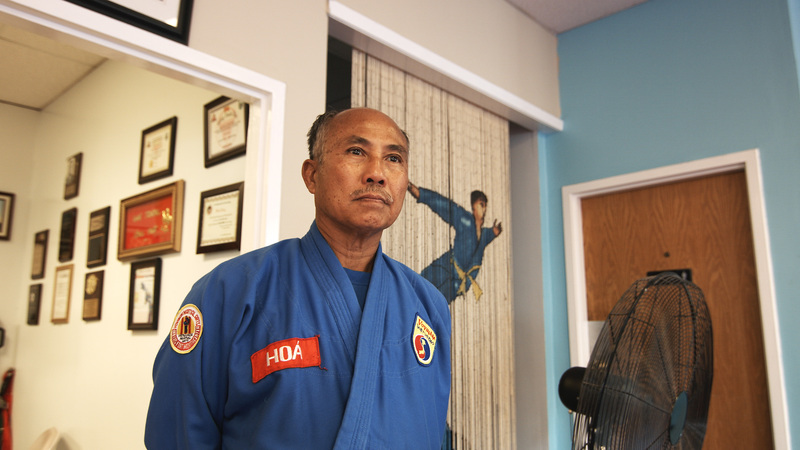 Directed by Scott Edwards, the documentary’s narrative comes from the point of view of Master Hoa, a Vietnamese martial-arts instructor in Texas. He and 74 members of his extended family, a group that included his wife and two infant children, boarded a boat out of Vietnam at the end of the Vietnam War. 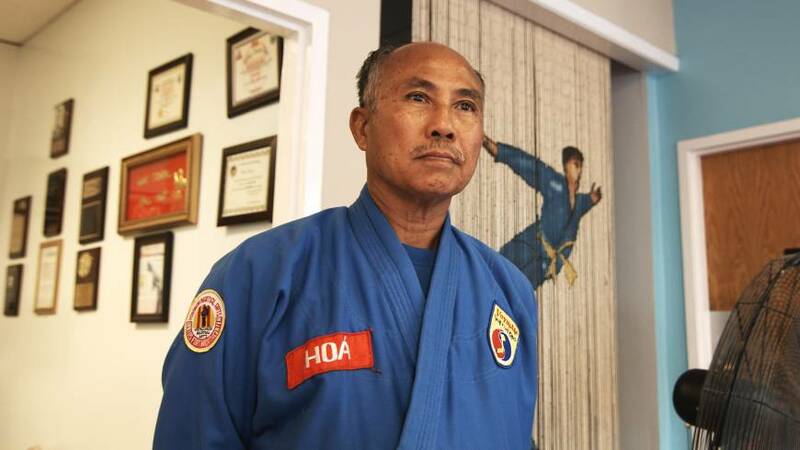 Master Hoa was the only one of his family to survive. It’s impossible to hear Hoa’s story without your eyes tearing up. Edwards tells The Japan Times that “Master Hoa’s Requiem is actually being turned into a feature-length documentary. The short version of “Master Hoa’s Requiem” is just 17 minutes long, but by the end of it you feel that anything longer might be unbearable. Amazingly, Edwards says he knew “almost nothing about Vietnam” before taking on the project, but was approached by producer Nancy Bui of the Vietnamese American Heritage Foundation. While Edwards keeps a respectable distance from the subject, you still sense a deep and sincere sympathy. “Master Hoa’s Requiem” proves that in a short film, a director can pare everything down to the bare minimum and still wind up with something profound. There are moments when the easy fun of a YouTube cat video are just what you need, but when it comes to a glimpse at the future of film as a discipline, the trip to the cinema is more than rewarding. Short Shorts Film Festival & Asia takes place at various venues in Tokyo and Yokohama from June 4-14. For more information, visit www.shortshorts.org.